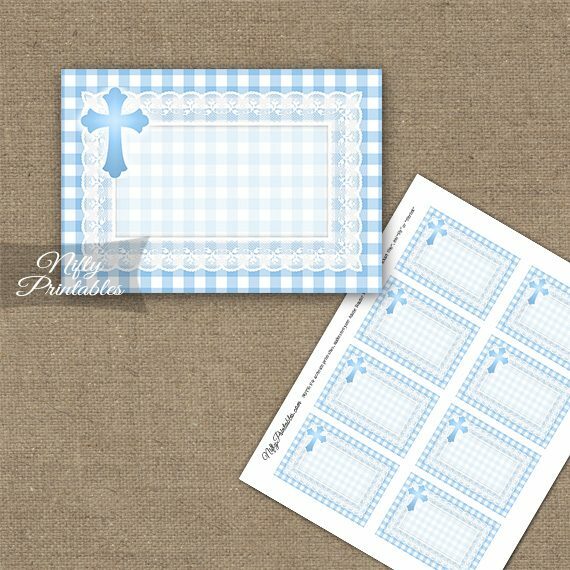 Printable blank labels featuring a sweet blue gingham and white background with white lace and blue glowing cross. 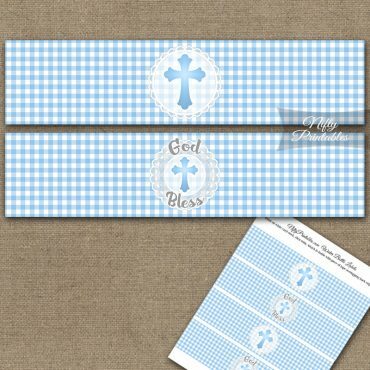 Light blue and gray. 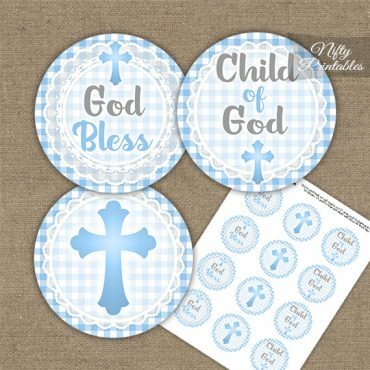 Boys baptism & first holy communion decorations.